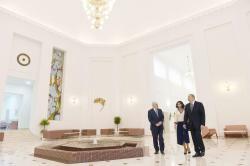 President of the Republic of Azerbaijan Ilham Aliyev and first lady Mehriban Aliyeva have viewed conditions created at the Scientific-Research Medical Rehabilitation Institute of the Ministry of Health after renovation in Baku. 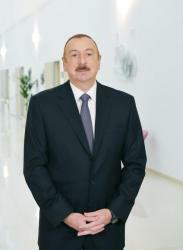 Minister of Health Ogtay Shiraliyev informed the head of state of the work done here. 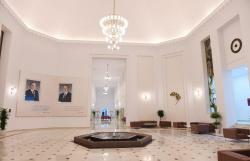 The head of state then met with the Institute staff. - Today we are gathered for the opening of the Scientific Research Institute of Medical Rehabilitation after major overhaul. I sincerely congratulate the Institute’s team on this occasion. 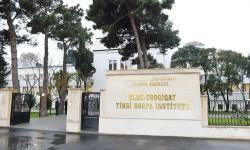 I congratulate all our people on this remarkable occasion because this institute holds a special place in Azerbaijan. 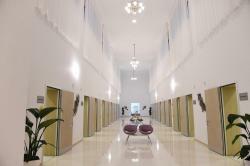 After the overhaul, the rehabilitation center, which is almost a century old, begins its second life. On these stands here, I have been familiarized with the previous state of the building and the photographs taken during construction. They are of great interest. Back in 1925, an instruction was issued to build the institute. It served the people of Azerbaijan for about 100 years. You as people working here are well aware that this institute holds a special place in the healthcare system of our country. I know that during renovation our people waited impatiently for the institute to be reopened in order to take advantage of its opportunities. Of course, the modern conditions available here now meet the highest standards. 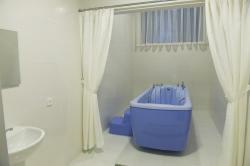 The repair and construction work has been done with high professionalism and taste. 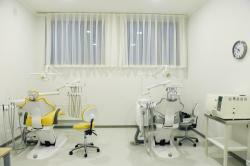 The modern equipment installed here will certainly allow you the opportunity to serve patients at the highest level. 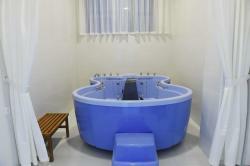 Those who wish to restore their health will definitely come here and recuperate. The building of the Institute is also an excellent piece of architecture. 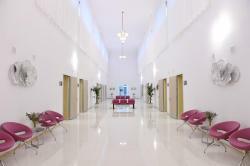 Both the exterior and the internal design of the building are pleasing to the eye. 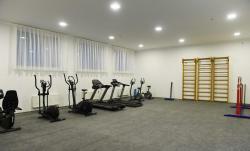 The area of the institute is also quite large - it is 14,600 square meters. I want to say again that services will be provided here at the highest level. This is another manifestation of the attention being paid to healthcare in our country. This shows again that human health is the most important task for us. 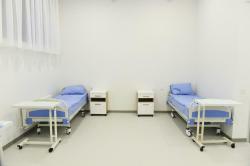 It is no coincidence that about 650 medical institutions have been built or overhauled at this level in the last 15 years. You can receive a high-quality medical service throughout our country today. The process of construction and overhaul of central city and district hospitals is almost over. 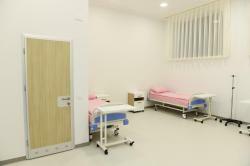 Several hospitals are to be opened soon. I am sure that this issue will also be resolved in the next few years. This is a huge contribution to the healthcare system of our country, because medical facilities meeting the highest standards are functioning and providing services to our people in all our cities, in the vast majority of districts today. If we had not achieved this, had not created the material and technical infrastructure of the healthcare sector, we would have been unable to pursue the policy we are pursuing today. 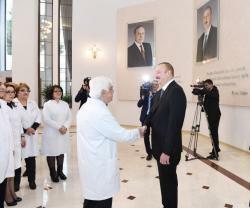 The healthcare reforms, which are an integral part of our social policy, and the investments we are making pursue the same goal: the people of Azerbaijan should be healthy and have access to high-level medical services. 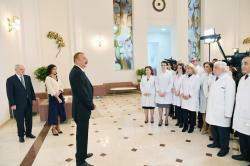 As you know, more than 5 million Azerbaijan citizens undergo free medical examination every year throughout the country, and then they receive treatment any identified diseases. 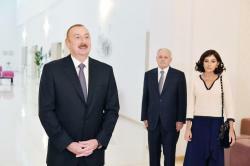 Azerbaijan is one of a handful of countries to be implementing such a large-scale social project. 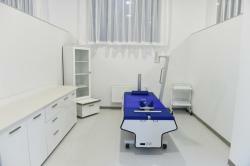 I have repeatedly said that citizens of Azerbaijan should undergo medical examination at least once a year. I am glad that these appeals are being materialized. In particular, if we consider that there are opportunities for people to undergo such examinations everywhere, the fact that more than 5 million people have taken advantage of this is a victory for our policy. The work our country is doing in this area is praised by international organizations. The work carried out within the framework of the UN Millennium Development Goals program, including the field of healthcare, deserves commendation. The World Health Organization praises our work as well. In a nutshell, the reforms carried out in this area and the funds invested by the state are producing results. And the results are that the people of Azerbaijan are healthy, the younger generation leads a healthy lifestyle and avoids bad habits. 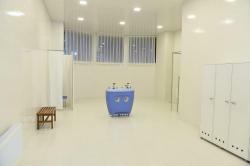 There are all the conditions in Azerbaijan to be healthy and receive treatment. I want to say again that the reopening of this institution is a very important step in this direction. I congratulate you on this wonderful event and wish you happy upcoming holidays – the Day of Solidarity of World Azerbaijanis and the New Year. I wish you continued success. Thank you! 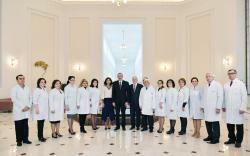 Minister of Health Ogtay Shiraliyev thanked President Ilham Aliyev for the work carried out to improve the healthcare system.